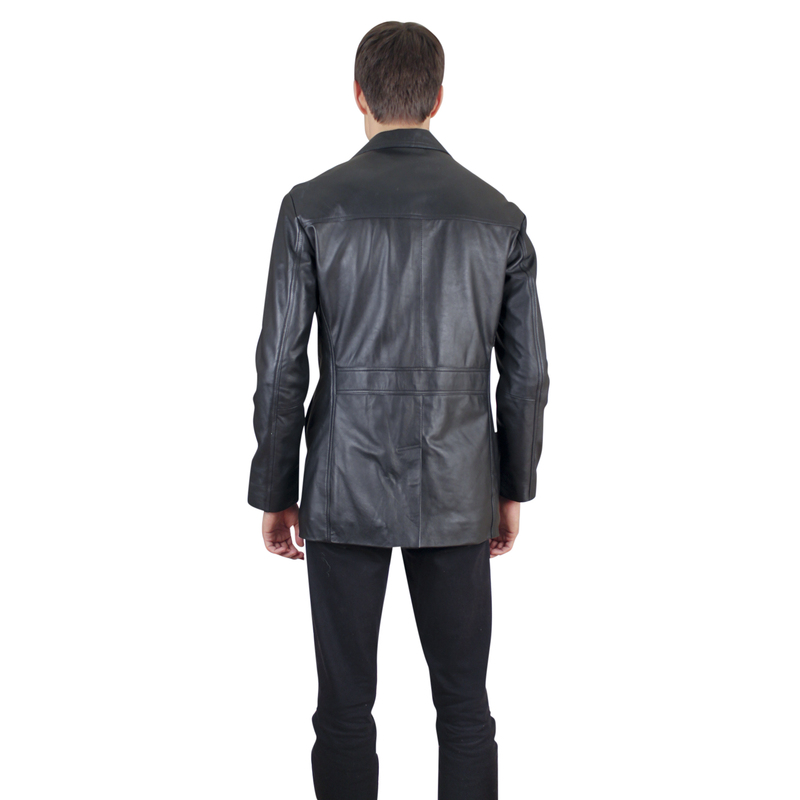 The NDK Mens Classic Lamb Skin Leather Jacket is Soft & Comfortable. It comes in a true black or brown color. 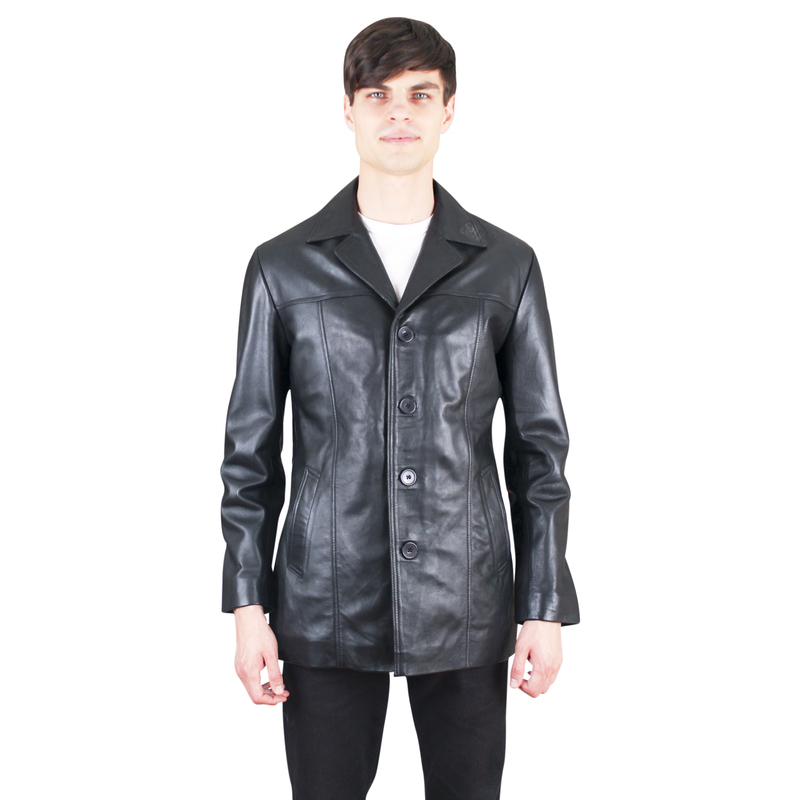 It offers a front button closure and single Welted pockets. The lining of the jacket offers 2 pockets. The first is on the right hand side, which is an Inner Welted pocket that's ideal to hold your wallet or identification cards. 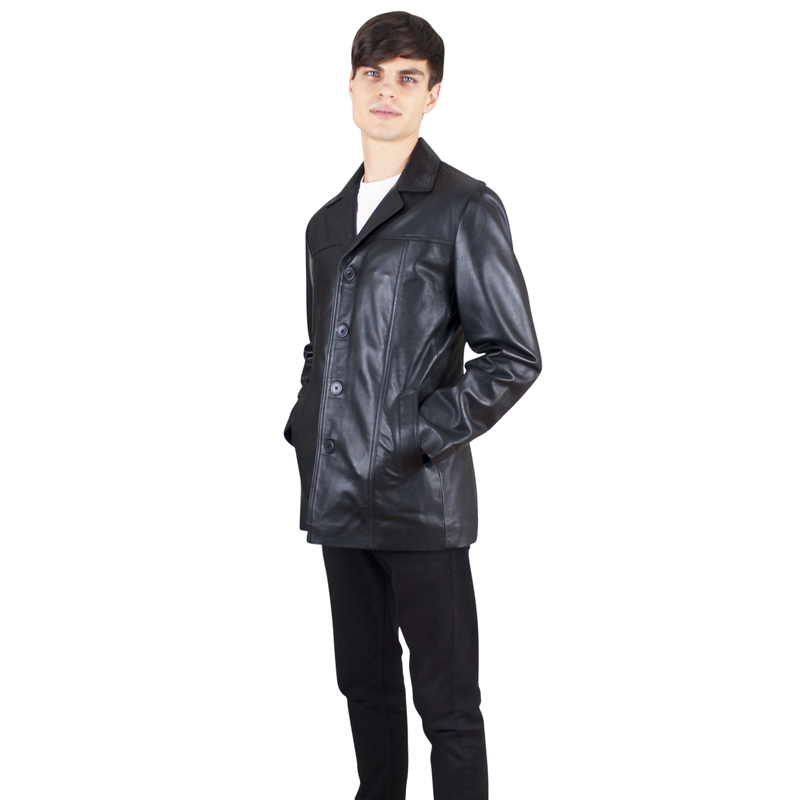 The other inner pocket, which is located on the left portion of the jacket, is a welted pocket with zipper closure. 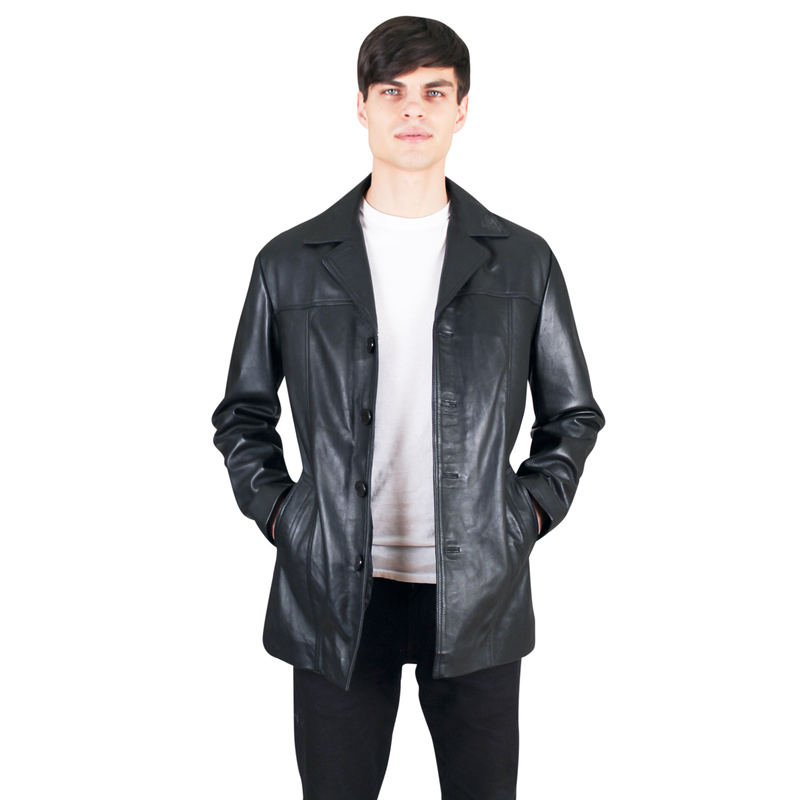 This jacket offers a modern look with its notch collar. It's available in sizes XS-XL. We also offer size XXL but it's only available for special customization orders only.